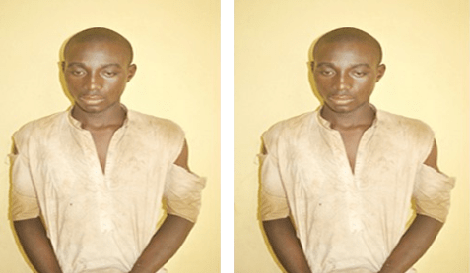 Police in Niger State have arrested a teenager for allegedly selling his six-year-old brother to a ritual killer for N20,000. The 19-year-old suspect, Aliyu Basala Yakutchi, without mincing words, confessed to have sold his kid brother, Yamusa Ibrahim Yakutchi, to ritual killer in order to raise money to pay his wife’s bride price. The incident was said to have occurred about 10 days ago. Aliyu, from Nagenu village in Katcha Local Government Area, sold his brother to 30-year-old Legbo, from Afuwagi village in Mokwa Local Government Area. Police disclosed that Legbo was presently on the run. Aliyu, who claimed to be the third among his mother’s six children, said that he sold his brother on credit. Aliyu, who apparently didn’t know or understand the gravity of his action, pleaded with the police to release him unconditionally so that he could go and tend to his farm. He said: “I decided to sell my younger brother for N20,000 on credit so that I can raise money to pay for the bride price of my 14-year-old lover. I took my younger brother, Yamusa, to Malam Legbo for money rituals because he promised to pay me N20,000 if he succeeded in using him for money rituals. I wanted to use the money to finance my marriage to Fatimah. Our father is dead, but our mother is still alive, her name is Hajiya Yakure. I blame the devil for pushing me into hatching this evil plan against my brother. I don’t even know where Legbo has taken my brother to.” While exonerating Fatimah from the crime, Aliyu noted: “She does not know about my evil plan to sell my little brother to offset her bride price. As at the time of filing this report, the whereabouts of Legbo and Yamusa were still unknown. The police had already paid a visit to Legbo’s village, but met a cold trail.